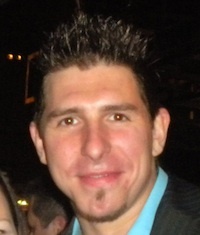 Alex Pekarick founded the design/build practice of Detail Exchange llc in 2003. He is an architectural designer with a Professional Degree of Architecture from Temple University. In addition, he is a master craftsman with over 15 years of experience working in all of the building trades: carpentry, welding, glazing, drywall, painting, etc. He believes just as much in the spirit of ‘making’ as he does in the inspiration of ‘creating’, and searches assiduously to define the place where these two meet.